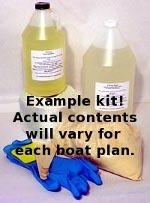 This is an excellent and good looking dinghy that can be used for rowing, sailing or with an outboard. She has good carrying capacity but is still light enough to car top. She is very stable and has a hull shape that will easily go through the chop of a windy anchorage. The V-bottom takes a little more time to build but it makes her a much better boat than a flat bottom. As a tender, she is probably going to be fitted with an outboard most of the time but she will row very properly. 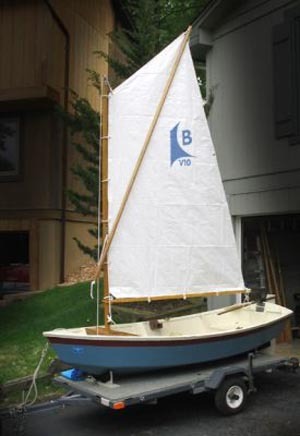 She could also be turned into a sailing dinghy with a sprit rig: a sail plan option is included. Please note the Digital version of the plans includes large sheets that will need to be taken to a print shop if you need a hard copy.